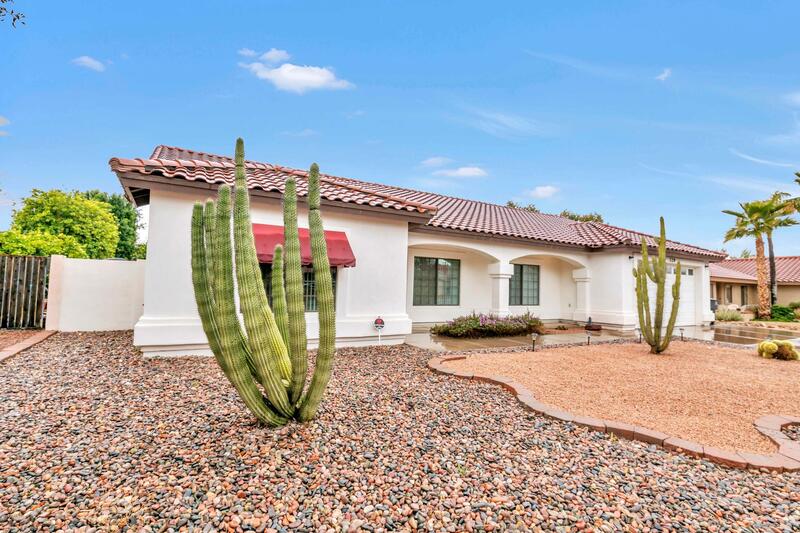 All HOHOKAM VILLAGE UNIT 2 LO homes currently listed for sale in Mesa as of 04/23/2019 are shown below. You can change the search criteria at any time by pressing the 'Change Search' button below. "Well maintained 4 bedroom / 3 bath home has all new interior paint, recessed lighting, real wood floors, spacious sun room with screens, a propane fireplace, and a large laundry room with a sink and storage, Jetted Tub in master bathroom, newer kitchen appliances - all less than 3 years old, newer AC units - both less than 5 years old with heat strips. 2 water heaters (1 brand new), 8 ft double gate to backyard that has a large lemon tree and sprinkler system. Storage Shed sits on a concrete s"